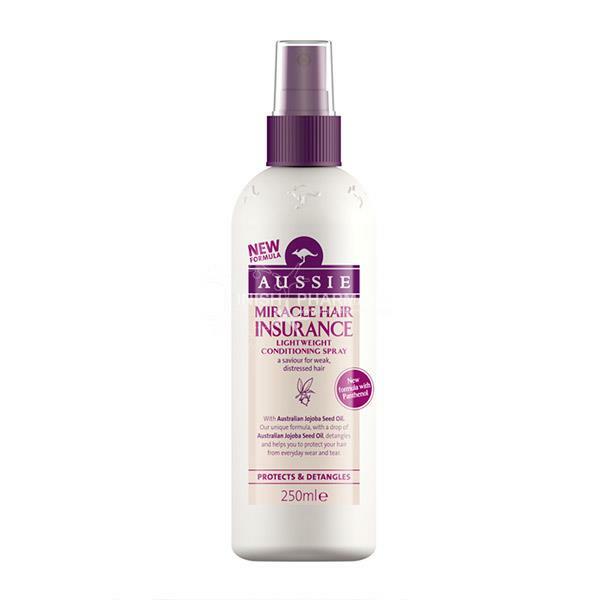 Aussie Miracle Hair Insurance protects and detangles hair. The lightweight, leave-in conditioning spray is ideal for use on weak or distressed hair. This spray contains Jojoba Seed Oil which makes styling easier while protecting the hair and smelling amazing.